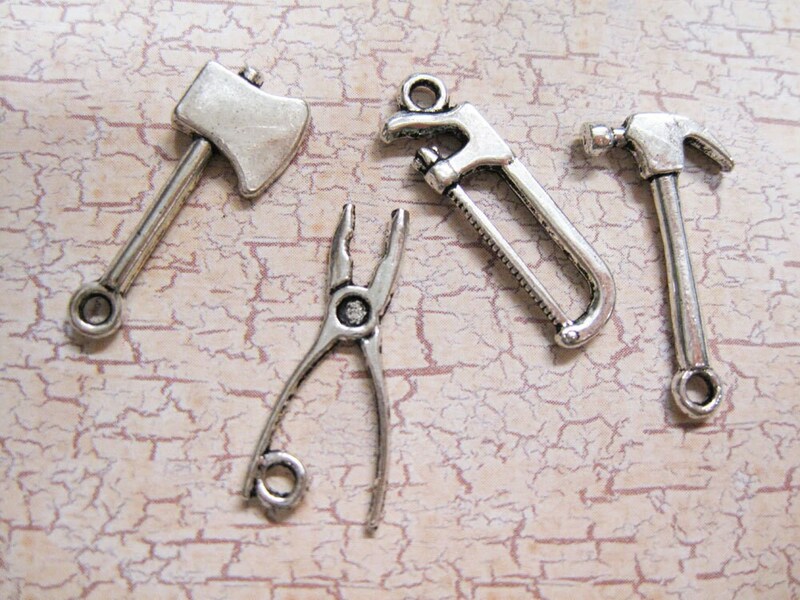 8 antique silver mixed tool set charms. They are double sided and you will receive 2 of each variety. Set includes hammer, ax, pliers and saw. Add a jumpring to easily attach to charm bracelets, book marks, key chains, zipper pulls, necklace chains, earwires and more. Perfect for the fixer uppers in your life! They are made of zinc metal alloy and are lead and nickel free. One of a kind tool charms! So cute!! Using these for a guys "power shower" as a gift tag holder on wine stopers.